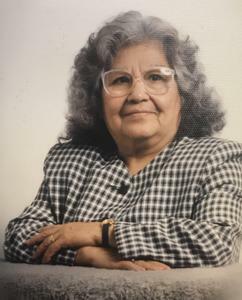 Silvestra Ramirez, age 90, of Holland, passed away, Wednesday September 19, 2018. Visitation will be held Sunday September 23, at the Mulder Chapel, 188 West 32nd St., Holland, from 5:00 to 9:00p.m. A public graveside ceremony will be held 11:00a.m. Monday, September 24, at Pilgrim Home Cemetery in Holland. Pastor Isaias Rios officiating. Professional services are entrusted to the Dykstra Funeral Home - Mulder Chapel.